Can Coldry and Matmor Technology Change the Face of Indian Iron Making Industry? Posted on July 3, 2018 Comments Off on Can Coldry and Matmor Technology Change the Face of Indian Iron Making Industry? All eyes are on the world’s first Coldry and Matmor plant that will be set up in Tamil Nadu as a result of a landmark pact signed between the largest iron ore miner in India- NMDC, Neyveli Lignite Corporation, India and Australia owned Environmental Clean Technologies Ltd (ECT). 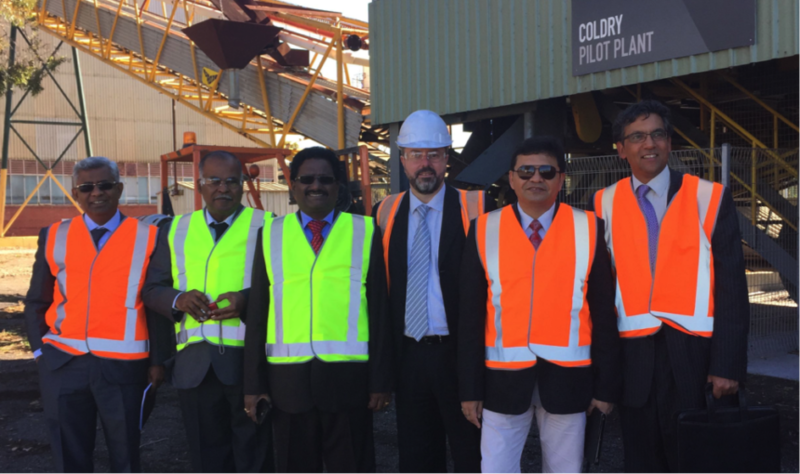 Touted as the largest research and development (R&D) alliance between Australian and Indian companies, the integrated plant will facilitate a low emission iron and steel process. The technologies developed by Australia boast of noteworthy attributes that can prove to be a game changer. Coldry, which is used to de-water low-rank coal, could usher in a new era for Indian industries as the country has large reserves of low-rank coal. Additionally, the technology also boasts of the ability to create an energy-intense fuel. This fuel can be used further in the lowest value instance power generation. The power generated thus is much more efficient. Without a doubt, Coldry technology holds immense potential to change the face of Indian industry. What makes it truly path breaking, however, is the fact that it is both economically viable but most importantly, environment friendly. Coldry technology enjoys a major advantage over traditional technologies because the former does not produce any CO2 emissions as opposed to the latter. On the other hand, Matmor is the world’s first and sole primary iron making technology that is lignite based. Lignite is the lowest ranking coal and the introduction of Matmor is a step in the right direction since India has vast reserves of lignite owned by NLC India Limited. Contrary to the traditional furnace route, Matmor has an efficient furnace design and chemical pathway that make lower operating temperatures and shorter process times a possibility as well. The technology converts low grade iron ores into crude steel of high value at a much lower cost. Just like Coldry, Matmor is significantly more environment friendly as the CO2 generated per tonne of steel is dramatically reduced. The technologies have been introduced with the objective of producing low emission iron and steel at a lower cost. Besides, they reduce wastage dramatically by making use of waste or lower grade iron-ore or low rank coal resources and India is home to the said low grade resources. Glenn Fozard, Chairman ECT spoke of the technology in high terms,“Matmor represents the most significant departure from primary iron making since the advent of coke-based smelting in 1709. By utilizing a predominantly hydrogen-based pathway, Matmor enables the use of abundant, lower cost alternative raw materials and lower CO2 intensity.” He added that Matmor is poised to revolutionize primary iron making. He also said that the technology has the potential to address “real-world issues faced by India as it strives to mitigate emissions intensity in the face of ambitious growth targets”. As per NICIL, the project will involve two phases. The first phase will entail R&D worth AUD 35 million. Funded by the Indian conglomerates in question, this phase will seek to augment the technologies in order to deliver an integrated pilot plant with an enormous capacity of two tonnes of metal per hour (approx). When the outcomes of the first phase prove fruitful, phase two will kick off. This will include commercial expansion followed by a thorough market assessment to gauge the opportunities for commercial expansion at the global level. As of now, the two technologies seem quite promising, given that the environment and the steel industry have not been able to complement one another so far. Iron and coal industries have been emitting more CO2 than permitted, leaving significant amounts of carbon footprints around the globe. Against such a backdrop, could Coldry & Matmor prove to be a global trendsetter?